From the north Greek area, stylist and interior designer Elena Farini champions all handmade and home-made room textile accessories. She lends her insider tips on how to add personality to a room using ordinary items such as curtains and cheerful soft accessories ends for your little treasures. Elena Farini bespoke collection has designs for all rooms!!! but mostly its all about creating treasured childhood memories everyday life just a little bit more fairy-tale. Enjoy fairy tale transforming ordinary everyday home and kids room decorations into unique pieces with a personal and creative touch. Everyproduct aims for a sense of fun and happiness. 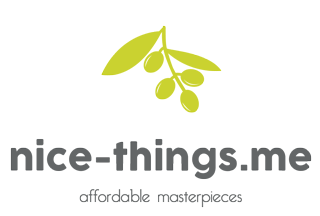 This philosophy has led to a unique brand which is committed to designing affordable products that deliver the WOW factor - making everyday life just a little bit more fairy tale. Our popular Bunny with white silk and red bow along with a ladybug detail. It's make a great addition, adding character to your child's nursery or bedroom, even to your living space! Made entirely by hand thus, each one is slightly unique, making them extra special for yours specials!!! Perfect for any age. Material: Cotton. Composition: 100% Cotton. Filling: 100% Polyester. Hand wash. Pillow measures about L 40cm x W 40cm x H 10cm. Your baby's safety is our top priority. Please don't leave your infant unattended with these pillows. These are for decoration only! Our products are made by hand in beautiful Thessaloniki, Greece. Thank you for supporting handmade. 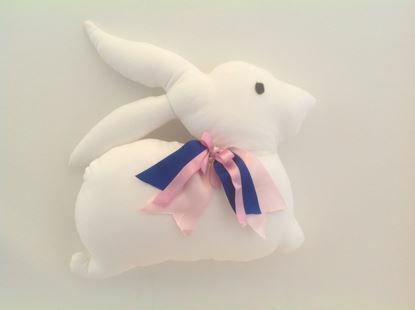 Our popular Bunny with blue and pink silk bow. It's make a great addition, adding character to your child's nursery or bedroom, even to your living space! Made entirely by hand thus, each one is slightly unique, making them extra special for yours specials!!! Perfect for any age. Material: Cotton. Composition: 100% Cotton. Filling: 100% Polyester. Hand wash. Pillow measures about L 40cm x W 40cm x H 10cm Your baby's safety is our top priority. Please don't leave your infant unattended with these pillows. These are for decoration only! Our products are made by hand in beautiful Thessaloniki, Greece. Thank you for supporting handmade. 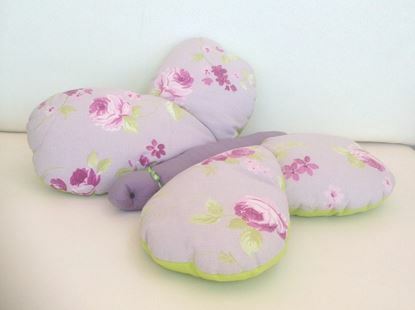 Cute and colour playful Butterfly shaped cushion. 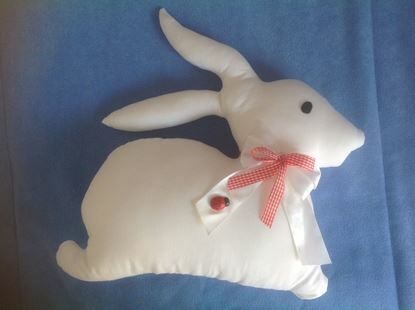 Toy or deco pillow that finished off any nursery or child's bedroom. Made entirely by hand thus, each one is slightly unique, making them extra special for yours specials!!! Perfect for any age. Material: Cotton. Composition: 100% Cotton. Filling: 100% Polyester. Hand wash. Pillow measures about L 60cm x W 50cm x H 10cm Your baby's safety is our top priority. Please don't leave your infant unattended with these pillows. These are for decoration only! Our products are made by hand in beautiful Thessaloniki, Greece. Thank you for supporting handmade. 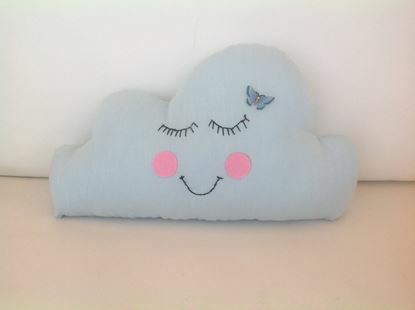 No nursery is complete without this elegant smiley cloud cushion! This is the ultimate must-have for any kids room.,even to your living space! Made entirely by hand thus, each one is slightly unique, making them extra special for yours specials!!! Perfect for any age. Material: Cotton. Composition: 100% Cotton. Filling: 100% Polyester. Hand wash. Pillow measures about L 50cm x W 28cm x H 70cm Your baby's safety is our top priority. Please don't leave your infant unattended with these pillows. These are for decoration only! Our products are made by hand in beautiful Thessaloniki, Greece. Thank you for supporting handmade. 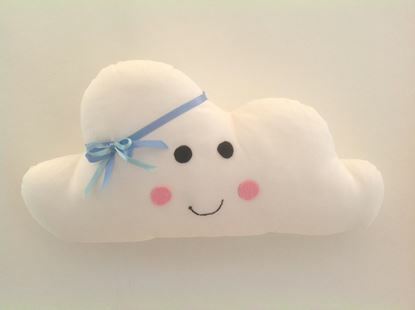 Romantic, smiley, eyelash cloud cushion! This is the ultimate must-have for any kids room,even to your living space! Made entirely by hand thus, each one is slightly unique, making them extra special for yours specials!!! Perfect for any age. Material: Cotton. Composition: 100% Cotton. Filling: 100% Polyester. Hand wash. Pillow measures about L 50cm x W 28cm x H 70cm Your baby's safety is our top priority. Please don't leave your infant unattended with these pillows. These are for decoration only! Our products are made by hand in beautiful Thessaloniki, Greece. Thank you for supporting handmade. Make your childrens space more Cuddly!!!.. 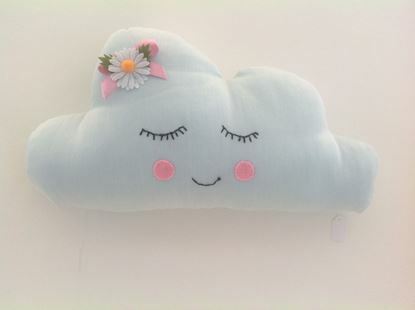 with this fashionista dreamer cloud cushion! Ultimate must-have for any kids room! Made entirely by hand thus, each one is slightly unique, making them extra special for yours specials!!! Perfect for any age. Material: Cotton. Composition: 100% Cotton. Filling: 100% Polyester. Hand wash. Pillow measures about L 50cm x W 28cm x H 70cm Your baby's safety is our top priority. Please don't leave your infant unattended with these pillows. These are for decoration only! Our products are made by hand in beautiful Thessaloniki, Greece. Thank you for supporting handmade.